Spring is the season when Kullu is changed into the most colourful place with pink blossoms and white flowers whereas the higher hills are glowing with stunning roses. However, reaching Kullu in December is not much beneficial as there is no greenery apart from the royal cedars and pines in the jungles. In winter season, the hills are covered with white snow. 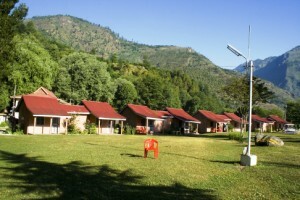 Kullu is the small headquarter of Himachal Pradesh, which serves as a spirit center of the valley where people enjoy the various levels of tracking. By Air: The closest airport of Kullu is Bhuntar airport. This airbase is just 10 KMs away from Kullu town. However, flights are limited to this place because of big hills and cold weather. People will get the direct flights from New Delhi and Chandigarh. By Train: The closest broad gauge railway station to Kullu is Chandigarh (270 Km). Some other alternate rail stations are Shimla and Jogindernagar.